I would like to introduce you all to my new pet finch, Atticus. 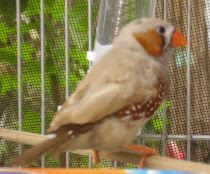 He's a zebra finch of, most likely, the fawn variety. I made him a little seed pot with my toy pottery wheel, and I intend to use up the rest of my air-dry clay a little bird bath dish. I got him a water tube and a little cuttlefish bone (which he poked viciously this morning), some seeds and a perch. My sister and I also a made him a nest box out of cardboard box card and have tried feeding him tomatoes as diet supplements. At around 6pm everyday, he gets into that nest box and gets ready for bed, at which point he becomes absolutely adorable as he snuggles up into the corner of the box and squishes all his fats and feathers together. He becomes a cute ball of feather with a beak and two tiny black, beady eyes. ...and it could go on and on. Of course there is also the temptation of naming them Blake and Jordin. Heehee. 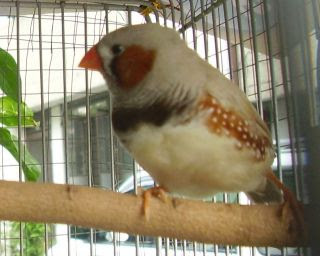 Atticus, as pinpointed by someone in the FinchWorld forum, has poor feather condition. I hope its just poor diet and not lice or mites. 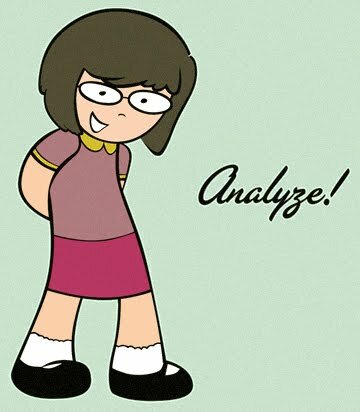 In other news, MME was finally canonized yesterday! Hooray! Enrollment starts tomorrow, and I have yet to figure out how realtime enlistment works.